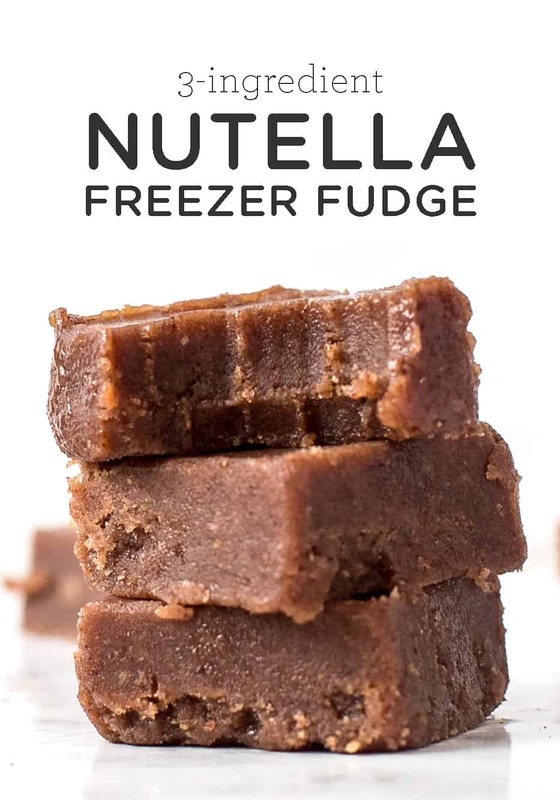 How to make nutella freezer fudge. 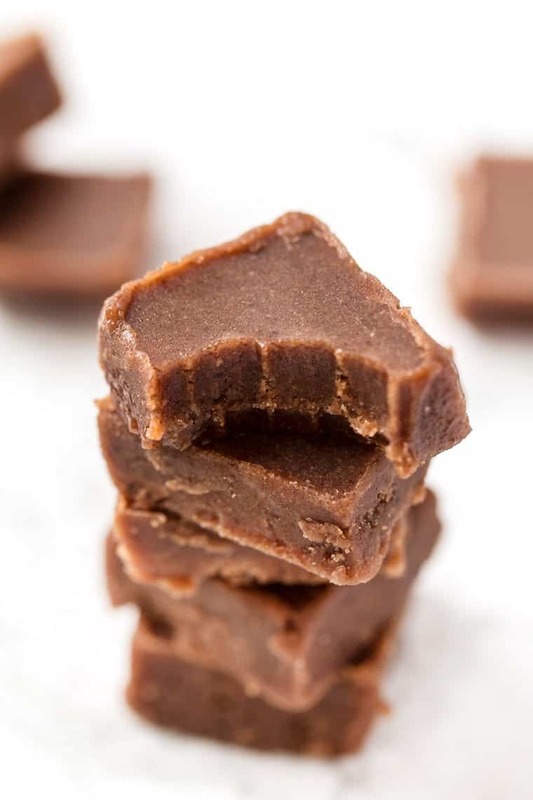 An easy freezer fudge recipe that uses just 3 simple ingredients, is vegan, full of healthy fats and super easy to make! 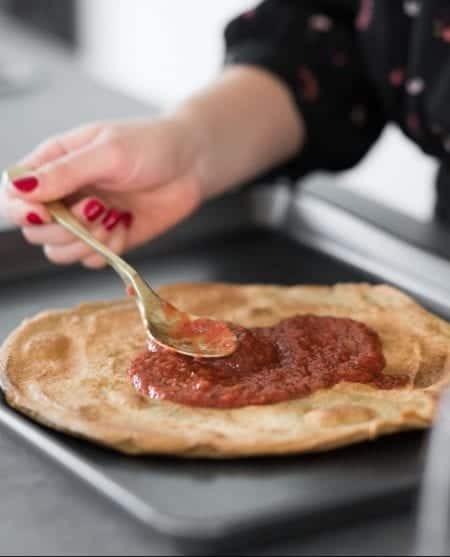 Okay so I feel like I've talked about my superfood homemade nutella recipe a million times before, but it's just one of those things that I make over and over again. While I love using it on my morning smoothie bowls or with some toast, I've also been using it a lot in my desserts. First, it was my vegan nutella brownies and now it's freezer fudge! And guess what? 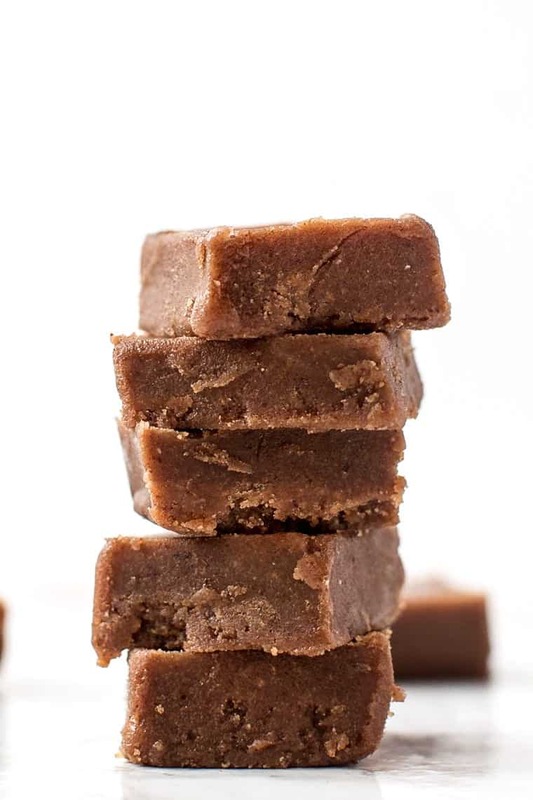 It only takes 3 ingredients, is packed with healthy fats and legit has the texture of fudge! I don't know who first came up with the concept of freezer fudge, but it's kind of taken the internet by storm and is completely genius. 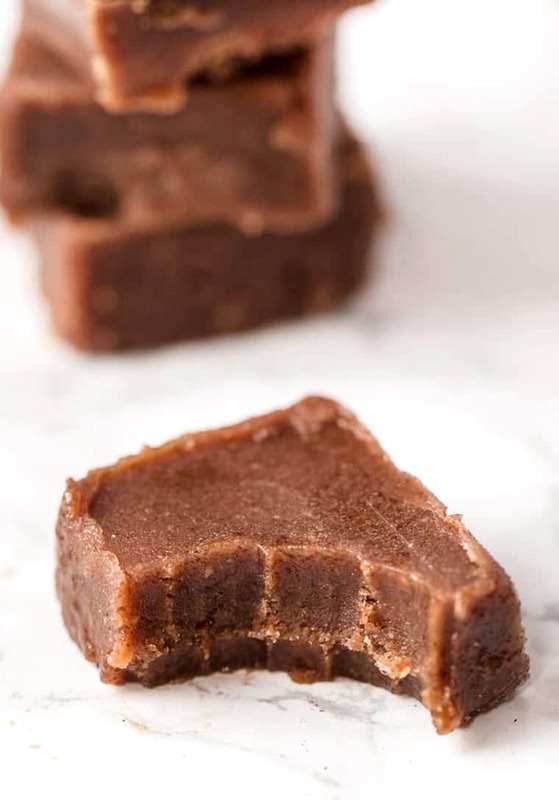 Not only is freezer fudge easy to make, but it also doesn't require much preparation at all, is simple to make vegan and refined sugar-free. 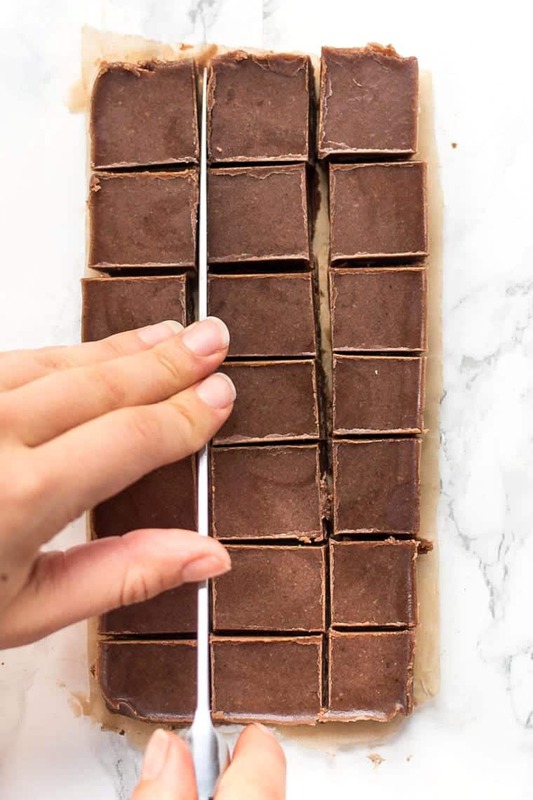 Unlike traditional fudge, where you have use lots of sugar and butter and need to use a candy thermometer, freezer fudge involves a quick melt of the ingredients and then you just pop it in the freezer until it's solid. It's seriously so easy and tastes incredible! 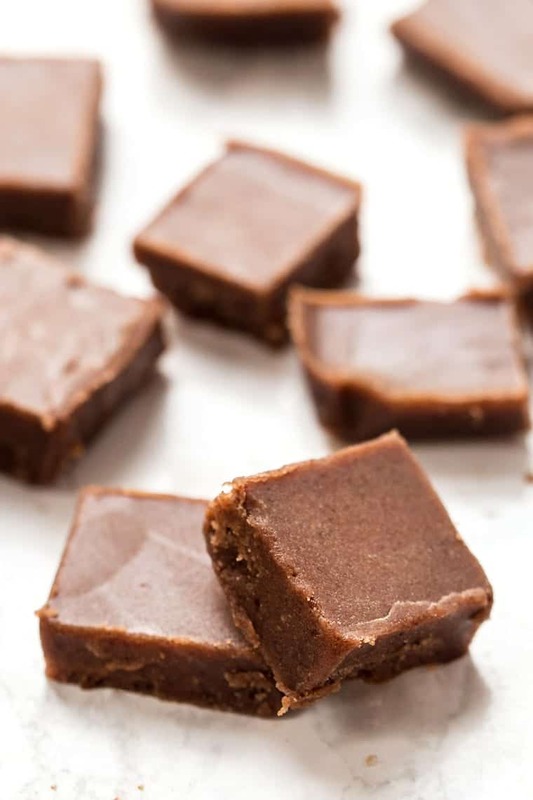 As I said, freezer fudge might just be the easiest thing you ever make. Like ever. So for our nutella freezer fudge, we're using our superfood nutella, coconut oil, and maple syrup. The end result is just like fudge. It's soft, it's chewy, it's sweet and since we're using nutella, it's nice and chocolatey! 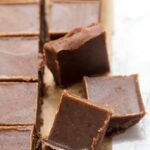 We've talked about the health benefits of healthy fats before, but that's why I love this nutella freezer fudge. We're using tons of healthy fats! The benefit of having healthy fats in your dessert is that it makes the dessert more satisfying. When you have a sweet treat that is primarily made of carbohydrates and sugar (i.e. most baked goods! 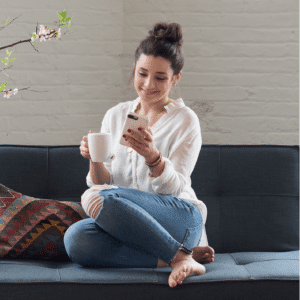 ), it's going to spike your blood sugar and create more cravings. Whereas if you have healthy fats in your dessert, or have a dessert that is made of primarily healthy fats (like our freezer fudge! ), just one little square is going to satisfy that sweet craving and not keep you reaching for more. So yes, we're totally crushing on this fudge! 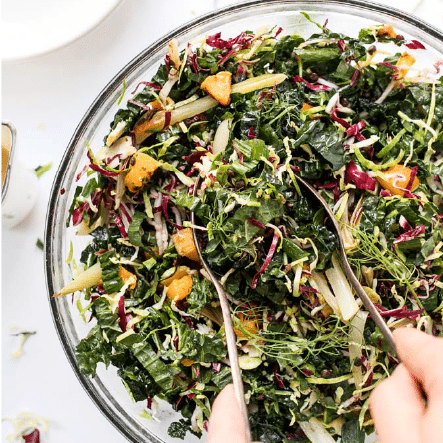 It's healthy, it's sweet, it's satisfying and it's SO simple to make! This incredible nutella freezer fudge uses just 3 ingredients, has a luxuriously creamy texture and is naturally gluten-free & vegan. 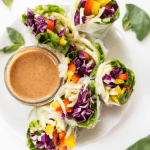 Simple, easy and healthy! Add the coconut oil and syrup into a small saucepan. Heat on low heat until the coconut oil has melted and the two ingredients are combined. Add the nutella into the saucepan and continue to stir until everything is mixed. This mixture will be quite runny, so don't worry! Line a 9x5 loaf pan with parchment and pour the fudge sauce into the pan. Freeze for at least 4 hours, preferably overnight. Once frozen, remove the fudge from the pan and cut into squares and enjoy! Store in the freezer for up to 6 months.